2017 Geneva Motor Show is around the corner and hence auto manufacturers worldwide are gearing up for the debut of their upmarket and state-of-the-art technologies. Among them, Mercedes-Benz is all set to mark its 50th-anniversary celebration by unveiling a four-door sedan concept at the same stage. Branded as GT4 Concept, it will allegedly get the similar shape to that of the ongoing GT Coupe. According to reports available on Autocar, the Mercedes-AMG’s front-engine, modular rear architecture (MRA) will underpin this new GT4 concept that is currently also doing the C63, E63 and S63. Moreover, the platform itself gets modified specially for this new concept and comes with exclusive wheelbase and track width measurements. Mechanically, the GT4 will be powered by the AMG’s twin-turbocharged 4.0-litre V8 engine which will propel the unit with 600 plus bhp of power. The same powertrain is also confirmed for the new E63. The V8 motor might come fitted with a 48V electric system and an all wheel drive facility with drift mode. 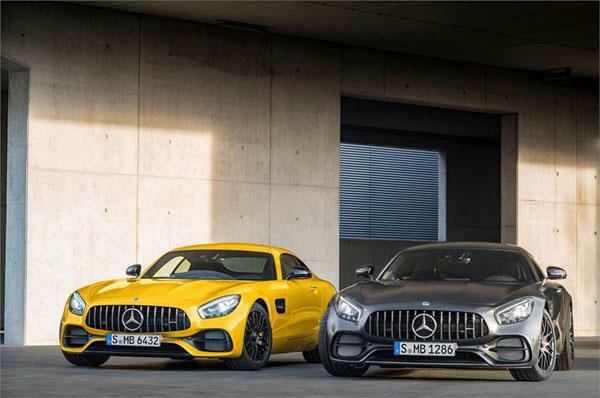 It will be the AMG’s third specific production model after the SLS AMG and the AMG GT. When launched, which will reportedly take place in later 2017, the model will act as a replacement of the CLS Shooting Brake. Also, lock the horns with the likes of BMW 6 Series Gran Coupe, Porsche Panamera, and the Audi A7. More details will be out at the Geneva Motor Show 2016, held in Geneva, Switzerland from March 9 to 19.